something light, flavorful and refreshing. Almost everything on the menu can be made gluten free but make sure to tell them you need your item gluten free. The black rice they use to make their sushi is gluten free and they also have "to go" packs of gluten free soy sauce. My favorite roll is the Spicy Mang (pictured). 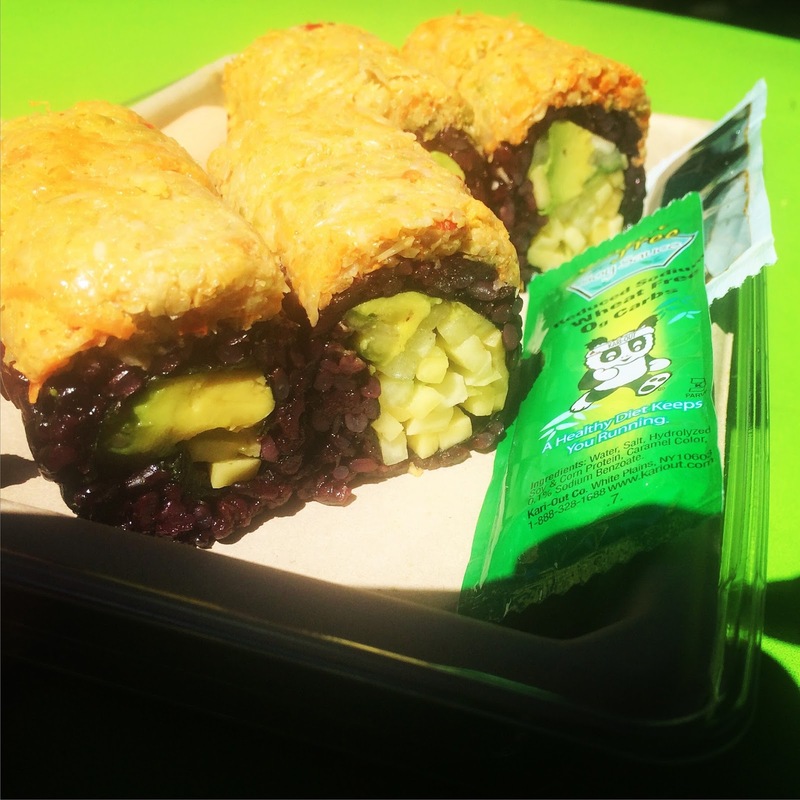 It contains black rice with avocado, mango, english cucumber, and spicy veggies. You will also want to check out their rewards program. For every $100 you spend, you will receive a $10 reward. For more information, check out their website at beyondsushinyc.com or visit them on Twitter, Instagram, or Facebook.